Of all the digestion-related issues and conditions that ail us, reflux disorder (or GERD) is one of the most peculiar, and most irritating. GERD is short-form for gastroesophageal reflux disease, and it refers to a digestive condition afflicting the lower esophageal sphincter (LES), a bundle of muscles that connects the esophagus to the stomach. The LES is meant to prevent acids and foods from travelling backwards from the stomach. Its inability to perform this role adequately is at the root cause of GERD, a condition which causes much discomfort. Heartburn. The most evident sign of a chronic issue is heartburn. 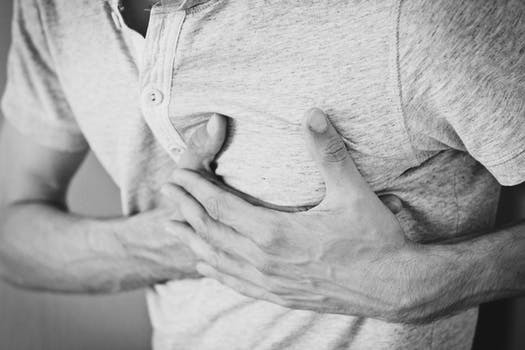 While heartburn happens to everyone once and a while, it happens consistently for people with a malfunctioning lower esophageal sphincter (LES). A fully functional LES would close quickly enough after eating to prevent acid backwash into the esophagus – at least most of the time. However, if you are getting heartburn after every meal, it’s a sign that your LES is not working properly and that you are dealing with GERD. Difficulty Swallowing. If it is painful or difficult to swallow, it could be because your LES is not strong enough to fully close after each bite. The amount of difficulty roughly corresponds to the strength of the LES: the harder it is to swallow, the weaker the LES. A Lump in the Throat. Another common symptom is the feeling of a lump in your throat that will not go away. Since there are not many other conditions with this symptom, it is a strong signal that something particular is going on in your esophagus. Although GERD can last for an indeterminate length of time, there are a number of effective treatment options. Improving your diet and getting more exercise will definitely help get the rhythm of the body back into full motion, but it might not be enough. There are also natural remedies available that help to soothe the gastrointestinal tract – like our Slippery Elm Caps, for example. Slippery Elm caps, when combined with water, will stimulate the nerve endings in the gastrointestinal tract and help it to excrete mucus that in turn reduces the amount of acidity in the esophagus. Try it today and your digestive discomforts will gradually fade away! Contact Sloan Natural Health Center for more information on natural solutions for whatever ails you.